There are some products that simply can’t be replaced. Years are passing but they remain on top as best-sellers present in thousands of women’s bathrooms. What iconic cosmetics do I mean? Today, there are hundreds or thousands of beauty products we can choose from. We are spoilt for choice whereas the huge competitiveness makes many products vanish after being on top for a while. However, there are stunners which are recognized worldwide and are sold in huge quantities, despite not being launched yesterday. Do you know all of these iconic products? The characteristic yellow and red stick won’t go unnoticed. It is a moisturising lip balm which was popular only in the USA at first. Currently, it is known all over the world as a popular softening remedy for chapped lips. Even though the design is a little bit cartoonish and far from tasteful, the product is definitely effective. If you ask a hundred of people about the most popular hand lotion, most of them will point to L’Occitane Shea Butter Hand Cream. It’s been purchased and used for years by those who love to have beautiful, soft hands. It contains over 20% of natural Shea butter, has thick consistency and incredible scent. You can easily recognize it by the metal tube with a small cap featuring an amazingly hydrating, moisturising and nourishing formula. Chanel N°5 is the most famous fragrance in the world. I guess everybody knows this minimalist rectangular bottle. The perfume has been promoted by the most stunning stars including Marilyn Monroe. 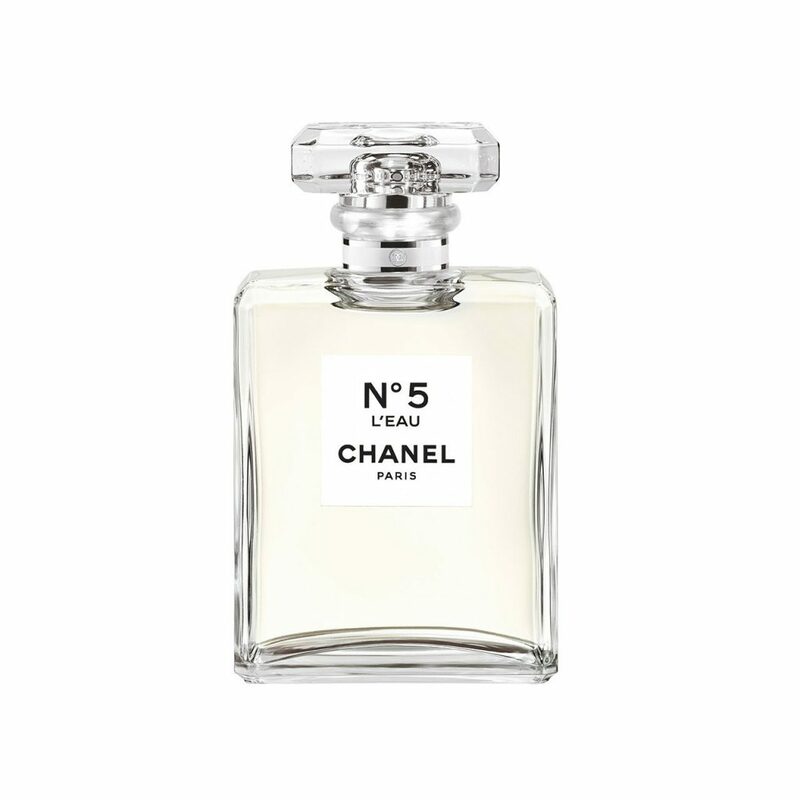 Chanel N°5 is a combination of 80 fragrance notes such as flower aromas (jasmine, rose, iris, ylang ylang), vanilla and ambergris. Interestingly, it is the first perfume exclusively based on synthetic ingredients. Vaseline must be treated as a beauty product – it works as a lip balm, body lotion, nail conditioner, serum for dry skin, etc. It soothes irritations, replenishes lipids in dry skin and enhances repair. Without doubts, Vaseline® Blue Seal Original Petroleum Jelly is the most iconic but there are currently lots of fragrance and color versions of the product. It is known to both moms and those who like to have baby-soft skin. Johnson’s Baby Oil is extremely mild, maintains the proper hydration, creates a protective barrier and smoothes out the skin. The product works for a gentle massage both for babies and grown-ups. The first red lipstick was probably launched by Chanel. A fancy black packaging houses an intensely red stick. It is undoubtedly the best known lipstick that has ever been made, worn by the Hollywood stars. Today, it is still sold and even though many other brands offer equally long-lasting and high-quality lipsticks, the red stunner by Chanel remains the icon. A thickening Maybelline Great Lash is one of the first mascaras (with a comfy brush) made by T.L. Williams at the beginning of 20th century. It is still sold in the same form, despite the neon pink and green tube which doesn’t go with the modern design standards. Now, it is of the cheapest and poorly-working mascaras available. A protective cream for irritated skin launched by the New York brand. Elizabeth Arden Cream is another iconic cosmetic in the round-up. It is based on vaseline, BHA acids (mainy salicylic acid) and vitamin E. It’s been loved by its multi-functionality – it heals sunburnt skin, prevents dehydration, softens chapped lips, speeds up healing of scrapes, etc. Next » How to take care of mature skin? Dry skin, wrinkles, discoloration « Previous Semi-permanent lip make-up – what is it and what are the effects?